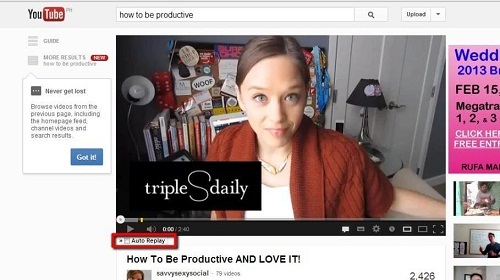 This tutorial is going to show you how to auto replay youtube videos though the installation of an extension for Google Chrome. 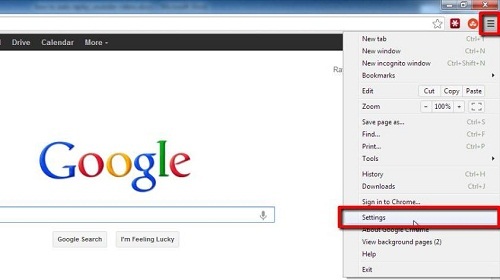 Start Google Chrome. In the top right of the window you will see an icon that looks like three vertical bars, click on this. In the menu that appears click on “Settings” and a new tab will open. In the left hand menu click on “Extensions” and in the new options on the left click “Get more extensions”. The “Chrome Web Store” will open and you will see a search box in the top left of the window, click in this and type “auto replay” and press return. A list of available extensions that match the search criteria will appear on the right, find “Auto Replay for YouTube from Sridhar PG” and click on the “Add to Chrome” button on the right. Click “Add” in the dialog box that appears. This will download and install the extension. To see how this extension works we need to visit YouTube. Navigate to “www.youtube.com” and open any video. 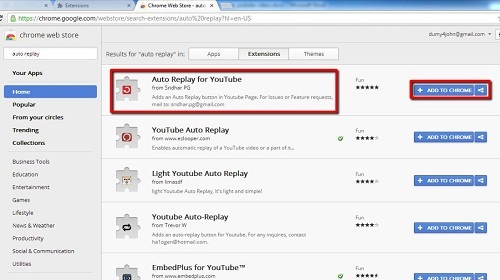 Just below the window on the left hand side you will see a check box with “Auto Replay” written next to it, simply check this box to make the video continuously replay, this is how to auto replay youtube videos.